It has been a long time since I’ve written….well in my blog. I am constantly writing but its mostly words, paragraphs, pages associated with my dissertation and sometimes its gibberish and other times I amaze myself! Just in case some of you don’t know or have forgotten, I research about sports, I read about sports, I do sports, I love sports and write about it (clearly failing at that currently with my blog entries) all with a little sass, I even support many teams and get Saturday Morning Tailgate Gear to go and see them. I am not going to discuss what my research is about but you can read about it here or ask me. 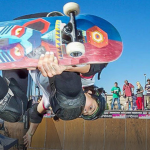 This particular entry is dedicated to Muslim women who take part in action sports. I will do my best to stay away from academic jargon although my mind is conditioned to think and write like that or its thinking about traveling and orcas (my heart!) and coffee. So why action sports? Well they are awesome! Surfing, skateboarding, parkour, snowboarding, climbing, etc. Of course, the adrenaline comes with many sports but something about action sports is unique. The creativity linked with your interaction with space/surroundings, your body, the elements (water, snow, mountain), and the community which brings its unique culture. 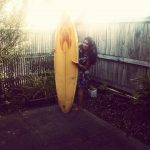 Meet, Stuart my retro board, old school single fin board!, which I bought before I took my first surfing lesson, why because that is all I could afford and I wanted one since I was going to add surfing to my sporting life. This board is not for beginners, I basically jumped from novice to expert (WTF!). Trust me I am no expert but I am known to take alternative paths in life which are often difficult, why? because I am good at suffering (and adventure). I am still struggling as I get wiped out over and over and over again with a smile (similar to me reading and learning about the different strands of feminism minus the smile). I am a better climber, however currently, I am nursing a torn rotter cuff muscle. So its #MuslimWomensDay, I am a Muslim sportswoman and I wanted to take this day to highlight some amazing fellow action sportswomen. 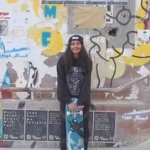 Mona Seraji, snowboarder from Iran and pretty bad@ss who has a pretty impress backstory! She broke her back and came back stronger than ever and podiumed! Amar Hadid, skateboarder from Australia who raps and is an activist! Amal Murad, parkour practitioner from United Arab Emirates and you may recognize from her the Nike Middle East advert from 2017 which I wrote about last year. Zain Alhouti, skateboarder from Kuwait. Kuwait in the past couple of years has seen a growth of actions sports. Parkour was always present there but we are seeing a rise of skaters and wakeboarders! Yasmin Gahtani, a climber from Saudi Arabia. As we know Saudi has been making some headlines the past couple of months surrounding women and sports. Starting with placing Princess Reema Al Saud at the throne of the Saudi Federation for Community Sports. 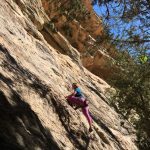 Also, Yasmin was recently (literally 24 hours ago) was named as one of the Board Members Saudi Climbing Federation. 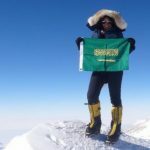 Raha Moharrak a mountaineer from Saudi Arabia who has completed the 7 Summits! Meaning she has climbed the highest peaks on each of the continents. Farnaz Esmaeilzadeh an Iranian professional climber and medalist. Iran is not new to the action sports realm either. It has a very vibrant and strong skateboarding and parkour community, along with amazing outdoorswomen. 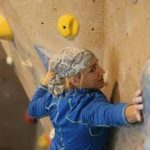 Anoushé Husain is a para-climber from the UK and her story wow! Just wow! 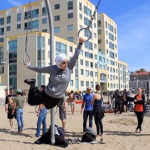 Sara Mudallal a parkour practitioner from the United States who has a great YouTube channel check it out here and she is the 1st Hijabi on the American Ninja Warrior. Baraah, first female BMX rider from Saudi Arabia. I don’t know much about her yet but this is pretty awesome. Shaikha Alnouri, a professional wakeboarder (who also surfs and snowboards oh and BMX) from Kuwait who I first interviewed back in 2016. 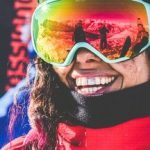 These are just some examples of Muslim women who engage in action sports and there are plenty more! And guess what we have been around for awhile just underrepresented or misrepresented. I had to stop myself because I can continue on forever talking about my action sports kinfolk! We are more than a stereotype and our lives are complex and many of us are doing some amazing things and engaging in a variety of sports and are pretty awesome at it! Climbing EVEREST!! E.V.E.R.E.S.T! My dissertation will… well is actually challenging some of the narratives often associated with Muslim sportswomen! Everyone can read about it in a year as long as I stay on track! For academic enthusiasts who want to learn more about action sports check out this amazing website.